How Great Leaders Inspire Action is the third most popular TED talk of all time. The talk was presented by Simon Sinek in 2009 and based upon his book Start with Why: How Great Leaders Inspire Everyone to Take Action published in that same year. You have likely noticed the new real estate signs for NextHome – Fredricksen Real Estate. They’re a visible display of the change taking place in a business that has been in Williston for nearly forty years. I recently spent time with someone I’ve known for over twenty years due to the passing of a mutual friend. During our reminiscing and catching up, he commented on my business. “I could not have done what you have done,” he expressed. “I couldn’t take those kinds of risks.” It’s a topic that comes up often as I visit with business owners, want-to-be business owners, and people who look at business development and wonder how some could take such risks. The idea of investing time and capital into buildings and equipment and managing people, production, accounting and customers with the need to keep it all financially liable can be overwhelming. Ten years ago as part of a marketing planning process in our business, I surveyed a number of our key clients as to why they chose to continue to do business with DAWA. 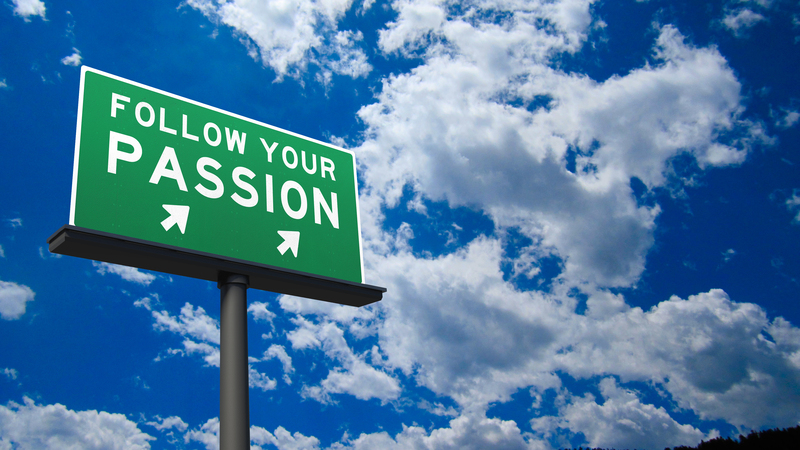 While trusting us to deliver value in our areas of expertise such as website development and marketing solutions was a key component, another theme emerged that I had not considered – passion. Concrete contractor MAA Construction traded in their hotel reward points and traveling work schedule for a home in the Bakken and the comfort of a familiar pillow each night. The company is going on their sixth year of building their business in the Williston Basin. Entertainment Inc! is Williston’s local non-profit arts organization, bringing quality music and theatre to the area since 1981. Each year they bring a full season of plays, musicals, and special events to the community, and do so primarily through the work of volunteers both onstage and off. The Williston Petroleum Banquet is an annual celebration of the oil and gas industry in the Williston Basin. Produced by the Williston Basin Chapter of the API (Williston API) for five years running, the banquet features dinner, entertainment, a special keynote address, the Williston API Achievement Awards and networking with industry participants and community leaders.